HOLMARC has developed cost-effective high-performance fiber optic coupled UV/VIS CCD spectrophotometer instrument that allows analysts to collect a full wavelength spectrum absorbance, transmittance or intensity in less than one second. Standard interface to the spectrophotometer is USB 2.0 compatible with 16-bit extended dynamic range. 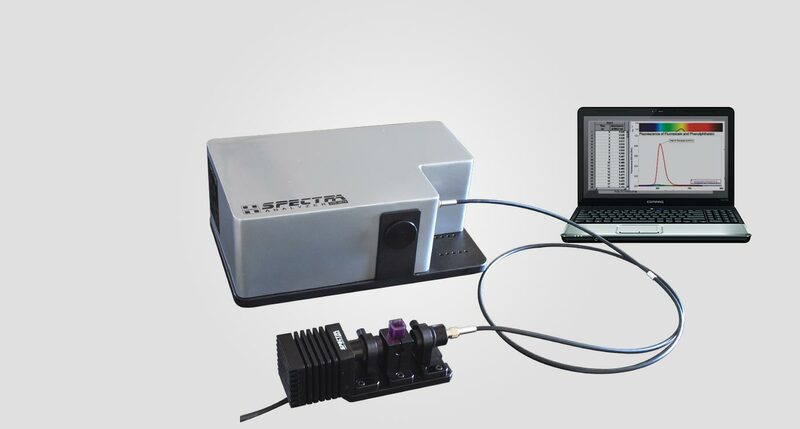 Spectra Analyte Windows-based spectral acquisition and analysis software is supplied along with the instrument. The device use high-quality optics and single-piece aluminum optical bench. 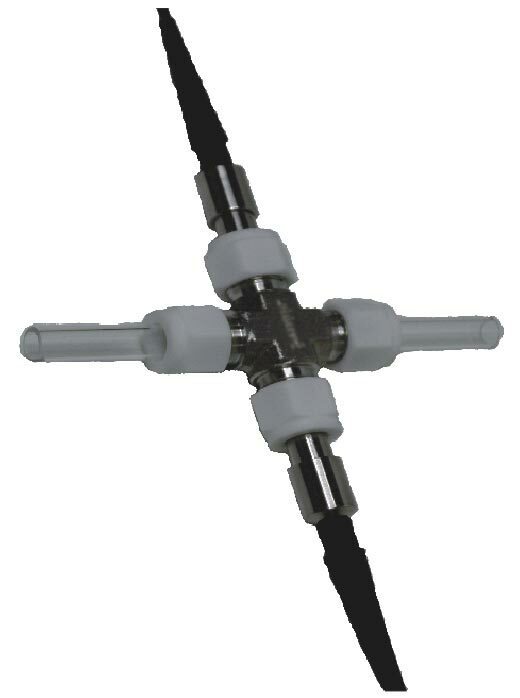 This design allows continuous stable operation of the instrument. It uses dual spectrum of deuterium and halogen lamp as light source. Emerging light goes through a high-quality diffraction grating, then the diffracted light is collected and sorted by the CCD array detector. 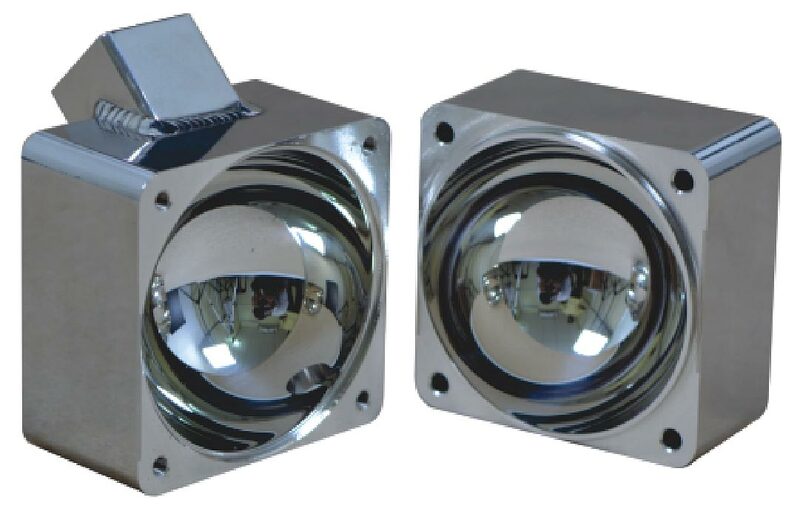 The standard sensor arrays used in the spectrometer is Toshiba TCD1304DG B/W board-level line CCD camera, based on a single-line, 3648-pixel CCD chip. The array driver electronics designed and developed by Holmarc ensures sensitive and stable operation. 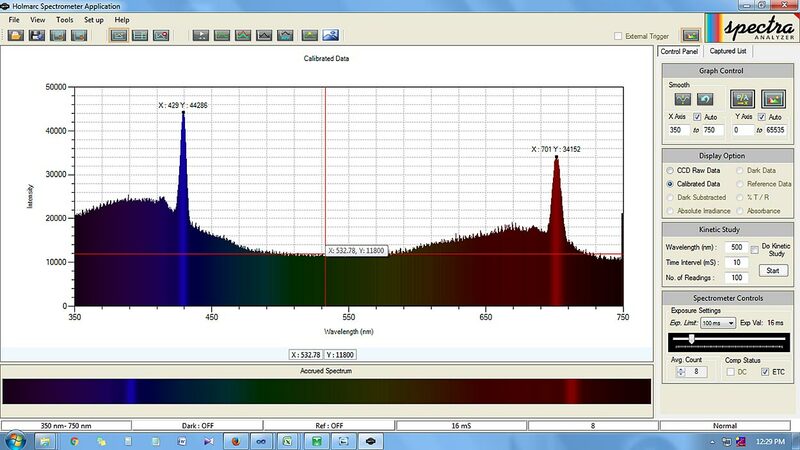 UV spectrophotometer models use windowless CCD to increase the UV sensitivity down to 200nm. It helps the signal sensitivity below 380nm to get improved (~20 - 50% more) in general. Spectra Analyte UV-VIS spectrophotometer can also be used as fluorometer or in combination with spectrophotometer. Fluorometer is a device used to measure parameters of fluorescence : its intensity and wavelength distribution of emission spectrum after excitation by certain spectrum of light. It can quantitatively measure the fluorescence spectra of many compounds such as chlorophyll, fluorescein, GFP, and more. Measure absorbance, transmittance, fluorescence etc. Perform equilibrium studies of absorbance vs. time or absorbance vs. concentration. 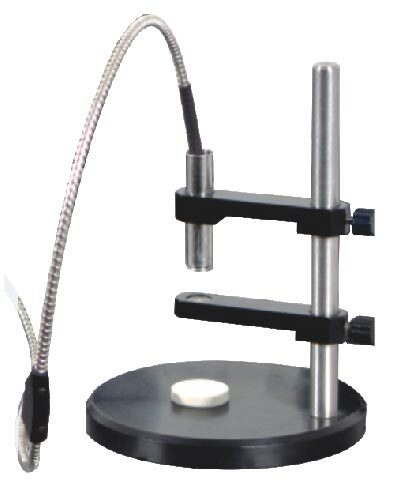 Measure emissions of gas discharge tubes, flame tests or other light sources.